Onshore wind is currently one of the cheapest forms of energy in the market, but according to analysts offshore wind could be cheaper by as soon as 2030. 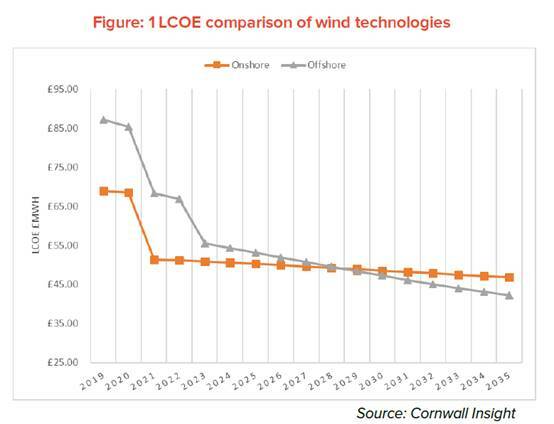 Cornwall Insight claims that technological advancements in offshore wind, coupled with longer blades able to capture more wind, will see it overtake onshore on cost, unless planning restrictions are lifted. Tom Edwards, senior modeller at Cornwall Insight, said: “The renewable energy market is under a process of transition with onshore wind facing the real prospect of being usurped by its offshore cousin to be the cheapest source of clean power in the not so distant future. 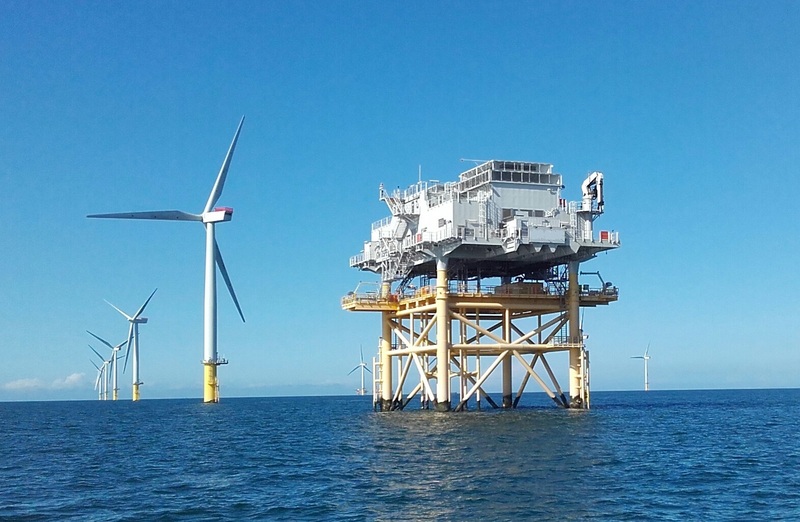 “Improvements in offshore technology are occurring all the time and for offshore wind increasing the size of turbines is making a significant impact. With 8 megawatt (MW) models currently being deployed, and larger 10MW and 12MW models under development as the technology advances. With these larger economies of scale, it is inevitable that costs will fall. “However, the playing field is not level in Great Britain when it comes to these comparisons. “Analysis by the Onshore Wind Cost Reduction Taskforce found that LCOE savings of between £4MWh and £7MWh were possible with tip height and rotor diameter optimisation for onshore wind.